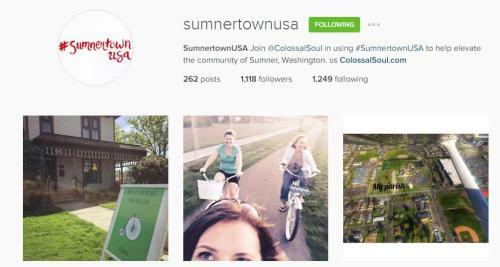 Most of us make travel decisions with our eyes, so those who are in the business of attracting visitors are often the best at using Instagram to make a place shine. 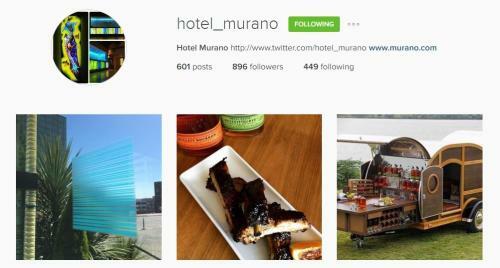 If you’re planning a trip, these are the right people to follow. With one picture, they can open your eyes to a town you never thought to visit, a photo vantage point you never realized was there, a performance you hadn’t heard about or a restaurant that only locals know about. Their posts will help you put together an itinerary that will make your Instagram followers gnash their teeth with jealousy as they hit the “like” button. 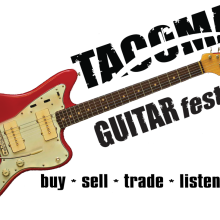 So here are some of the local hotels, restaurants and attractions that you should follow for ideas of what to do in Tacoma and Pierce County. Mt. 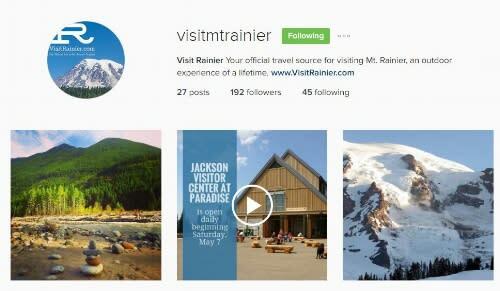 Rainier is one of the area’s most recognizable icons, and Visit Rainier’s Instagram feed shows you different places around the enormous mountain that you maybe hadn’t previously heard of. 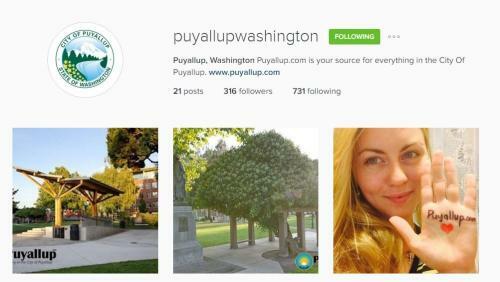 Puyallup is a historical and idyllic city with a small-town feel just outside of Tacoma, which their Instagram attests to. Already quite well known for as the Rhubarb Pie Capital of the World, Sumner’s Instagram shows off no shortage of rhubarb, but also some of the scenes from around the city that exudes Americana. 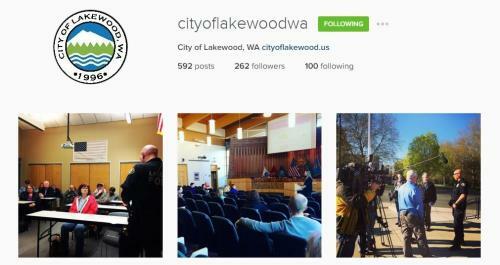 Having just celebrated their 20th anniversary, Lakewood&apos;s Instagram shows the working side of a small-city government. 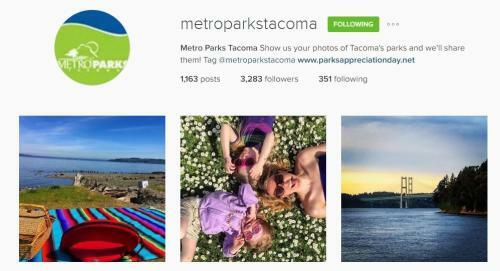 Pierce County has one of the best park systems in the country, and their Instagram reminds followers where they wish they were at that very moment, instead of checking Instagram. Three words: Clouded leopard cubs. 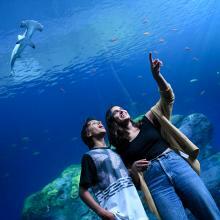 And if that isn’t enough: polar bears, jellyfish, sharks, meerkats, tigers, penguins. 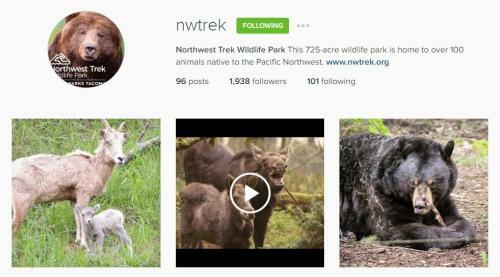 Everyone puts pictures of their animals on Instagram, but not everyone has bison and elk. Mt. Rainier Railroad is not just a unique way to see the Mt. 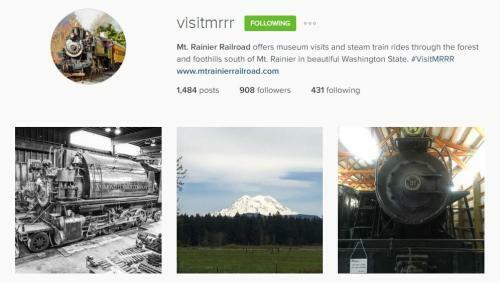 Rainier area, it’s a trip through history, and their Instagram gives you a sneak peek into that world. 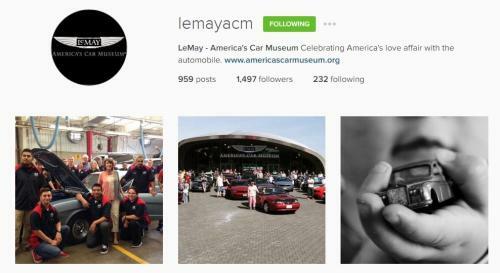 There’s no shortage of people who are proud of their cars on Instagram, but when you follow the largest automotive museum in North America, you’re not going to see your buddy from high school showing off his 2008 Nissan Altima. 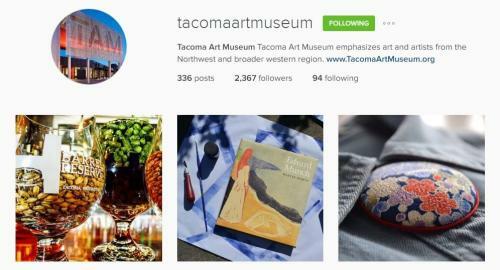 Tacoma Art Museum’s Instagram is what a museum’s Instagram should be: Visually appealing images that give the viewer a new take on ordinary objects. And in this case, those ordinary objects are often works of art in themselves. 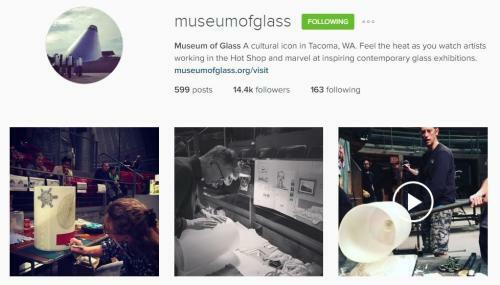 Museum of Glass is as much about the creative process as the finished artwork, and their Instagram reflects that. 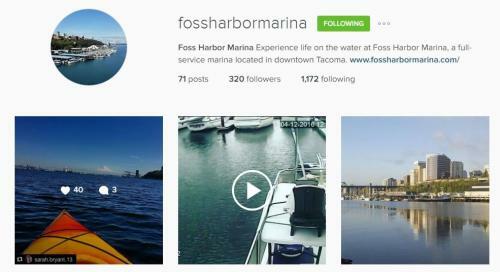 One part marina, one part museum, one part generally beautiful waterscape, Foss Harbor’s Instagram is how you know when it’s a good day to get out on the water. 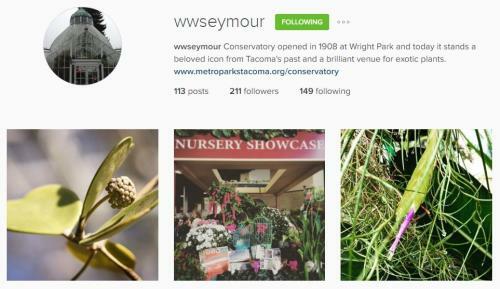 Flowers are perfect fodder for Instagram, and there aren’t many places in Pierce County where you’ll see better ones than on the W.W. Seymour Conservatory Instagram. 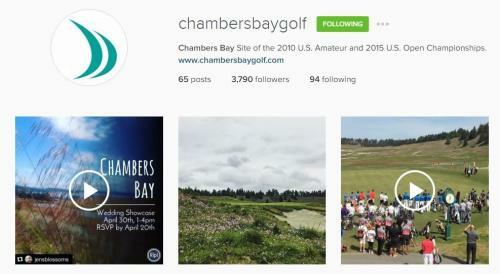 The home of the 2015 U.S. Open Golf Championship delivers daily reminders that you could be golfing instead of Instagramming, but they’re not bitter about it. 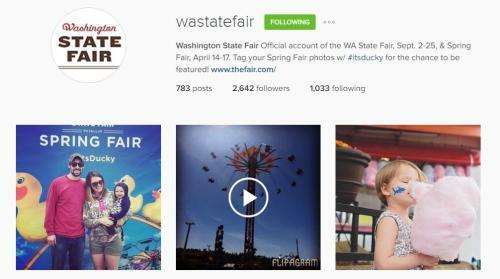 If you’re a local, this is the Instagram you’re most likely to get tagged in while the fair is up and running, and if you’re not a local, it’s a good enticement to come and see what all the fuss is about. 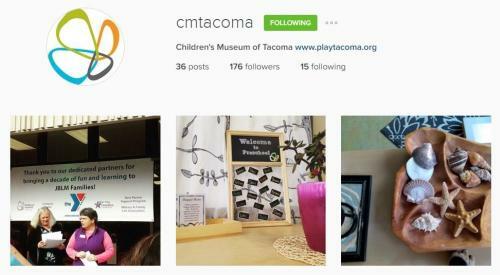 The museum’s target patron is probably too young to be on Instagram, but that shouldn’t stop their parents from enjoying some social media reverie. 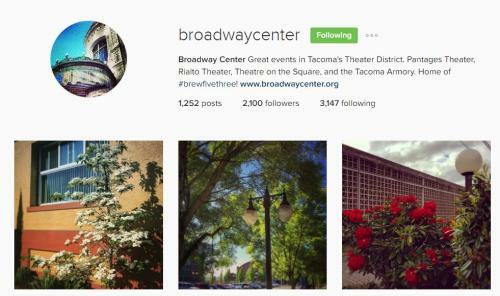 They represent some of the historic theaters in Tacoma, but when you follow Broadway Center on Instagram, you’re going to be seeing a lot of macro camera work on the small things that make every morning here a pleasant one. 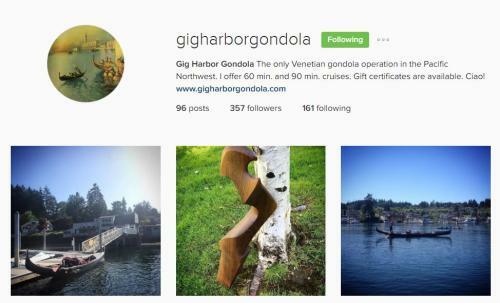 John, Pierce County’s own Venice-style gondolier, has access to some crazy viewpoints, and knows how to use his filters to show them off. It’s a hotel, but many guests agree that it could also be a glass museum. 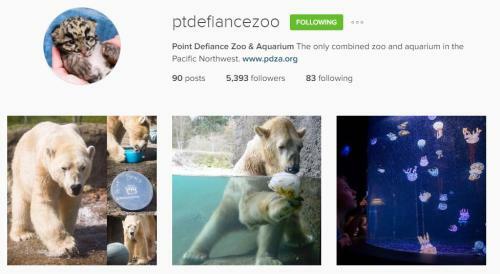 Their Instagram feed lends credence to that. 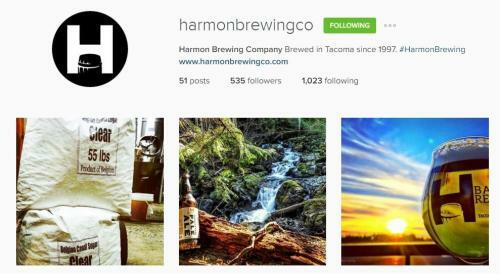 If you served some of the region’s best craft brews out of a brewpub that butted up against a small-town airfield right outside Tacoma, maybe your Instagram would look like Harmon’s. 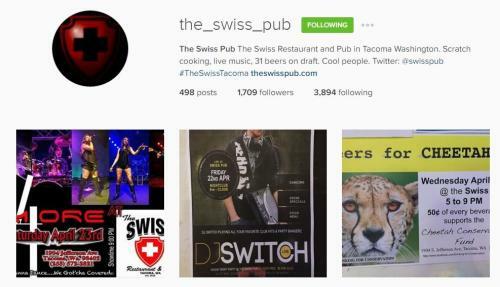 They hype their events and promos on Instagram, but The Swiss being the Tacoma institution they are, they’ve earned the right. 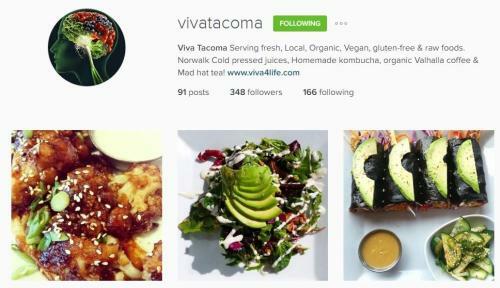 Yes, you already have a ton of food pics in your Instagram, but most of them aren’t completely vegan and prepared by Tacoma’s award-winning chef Paco Hernandez.